You may or may not be a fan of high school, but what I can tell you is that one day you'll miss it... No really, its true! You won't miss the work or the stress, but you'll miss your friends, walking the halls, the extra-curricular stuff, (Crazy sidenote: You'll even miss the smell! I still love going to the old HGHS gym just to see and smell high school... Yeah, it's crazy, I know!) ..but what I'm saying is to cherish this time in your life and don't wish it away.... have fun and actually enjoy it! Back in my day, we only had a couple of options for senior portraits.. we could go down to the yearbook guy's studio where we could either have our 'tux and drape' pictures done and bring a couple of changes of clothes to take pictures with their silly props and a big wall that we got to sign... OR we could 'only' take the tux and drape picture... Yep, those were the choices... you think I'm kidding?! Nope... I have the pictures to prove it! But not anymore! YOU have options... and lots of them! In fact, there's so many options that it's probably overwhelming to decide which photographer to choose! Well, I want to help relieve some stress and make this easier... the number one thing you need to consider the most is style... What I'm talking about is simple- look at the portraits on each photog's websites- do they speak to you? Do they tell the story of who that guy or girl really is? Can you picture yourself in that photographer's photos? This is a very important time in your life, so your Senior portraits should be a reflection of who YOU are right now! All the traditional tux and drape pictures are nice, but they make everyone look exactly the same for the yearbook... but you don't have to settle for that in your home! If you're into sports, theatre, reading, music, shopping, or whatever, your Senior portraits should tell YOUR story! Whether you just want a simple session to please mom or you want the all out/nothing held back destination shoot... I've got ya covered! -What's included in the sessions? -How many outfits can I bring? -Are you gonna make me look cheesy? -Who's gonna do my hair & makeup? -Can I bring my best friend? -How can you convince your parents that KNP is THE ONE? Well just like I told your parents in their note.... Believe it or not, all the answers are super easy! All you need to do is fill out the contact form, that lets me know that you want more information about booking a session... from there, I'll send you an email that's FULL of information including all the juicy details about the sessions I offer for both guys and girls... and of course, pricing. I'm not a photographer that will come out to "snap a few pictures and hand over a cd". 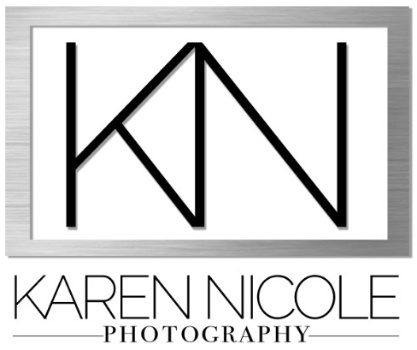 KNP is a full service, custom photography studio providing the experience, knowledge, skill, products and service that you deserve. Here's the deal, it's about so much more than just showing up in nice outfits at a pretty location to smile... you're booking a team of educated professionals that are dedicated to making your Senior portrait session one of the BEST experiences of your life!